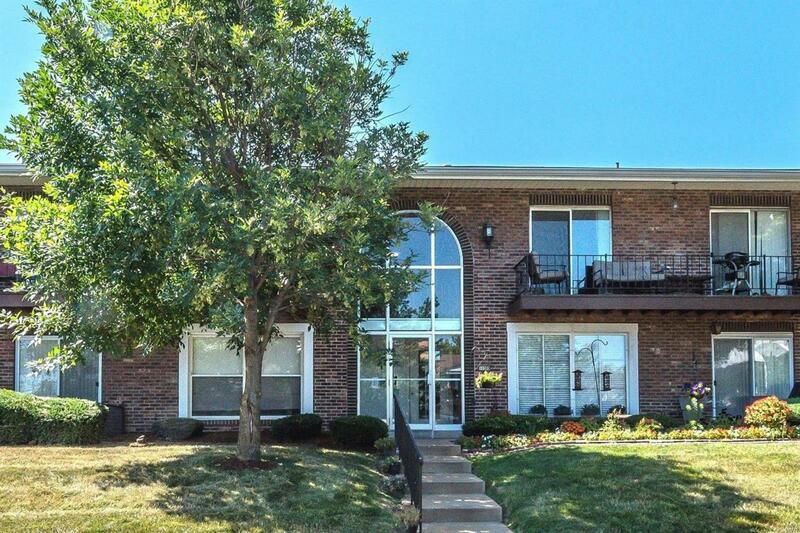 Fantastic 3 bedroom, 2 full bathroom condo on the border of Creve Coeur and Olivette. Freshly painted and new carpeting! This unit has a good sized kitchen with double ovens, dishwasher, electric stove, and range hood. Master bathroom suite with lots of closet space! Common laundry facility in the building. Nice deck for relaxing, 2 garage spaces, close to shopping & restaurants with easy access to Lindbergh. Complex has nice in-ground pool. Sought after Pattonville Schools. Don't miss out on this one, it won't last long, schedule your showing today! Property to be sold in as-is condition. Seller will not pay for or pass any inspections, warranties, or make any guarantees. Please submit offers on special sales contract. Vitals Outside Management Creatd Prior 9/28/83 Resale Cert Reqd.